But, of course, none of these are available in Scotland and the last of my stash I’d brought over from Berlin has run out, so we had to try something else this year. 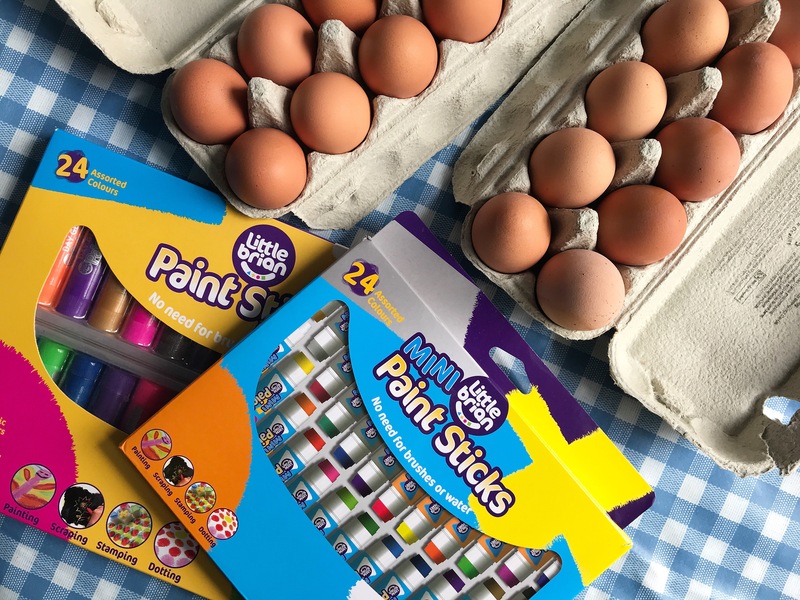 So with our German playgroup’s Easter meetup coming up this weekend – which will of course involved hard boiled eggs – the invitation to test out Little Brian’s Paint Sticks for decorating Easter eggs came just at the right time. We have used Little Brian Paint Sticks before, to paint with on paper, and absolutely love them. 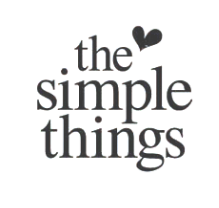 They are solid sticks of paint, which twist up and down like glue sticks, don’t require any water or brushes, and dry in less than 60 seconds. All of the painting fun without any of the mess – perfect for small apartment living. 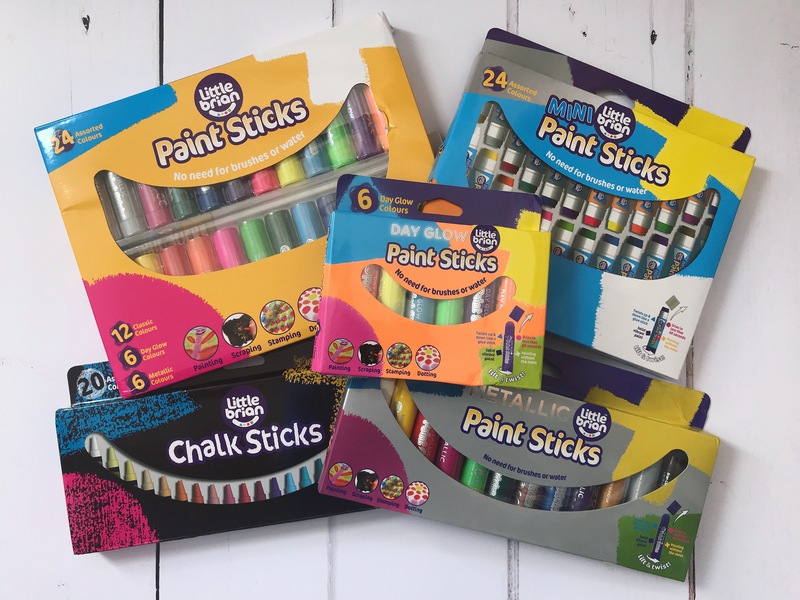 We received a big bumper pack of Paint Sticks, including two mixed boxes of classic colours, day glow colours, and metallic colours, both in the regular size and the new mini size. 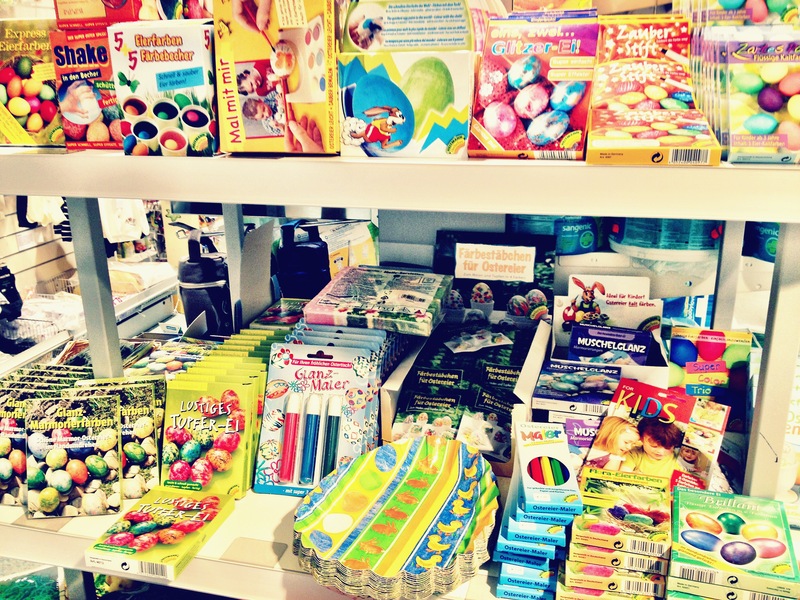 Plus extra boxes with additional day glow and metallic Paint Sticks, as well as a box of Little Brian Chalk Sticks. 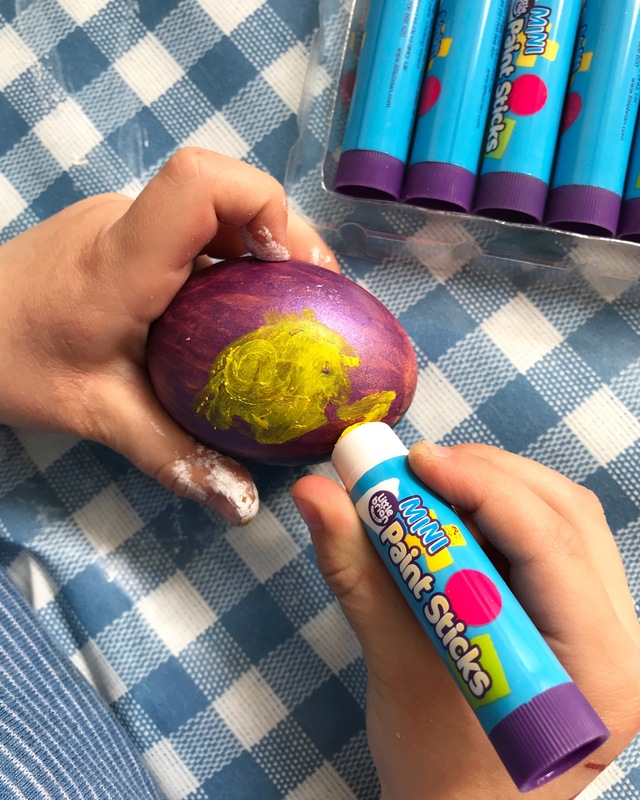 For decorating the eggs, we used the two mixed packs, alongside two dozen hard boiled eggs. 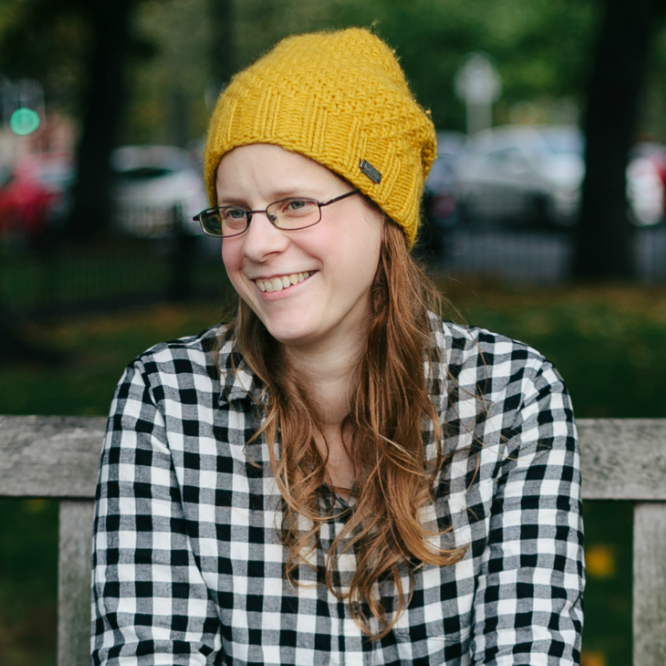 In Germany, it’s fairly easy to get hold of white eggs, which are brilliant for painting because most paints and colours come out nice and bright, but here in Edinburgh brown eggs were our only choice so one big question was how the Paint Sticks were going to hold up in terms of coverage. Some colours gave better coverage than others. 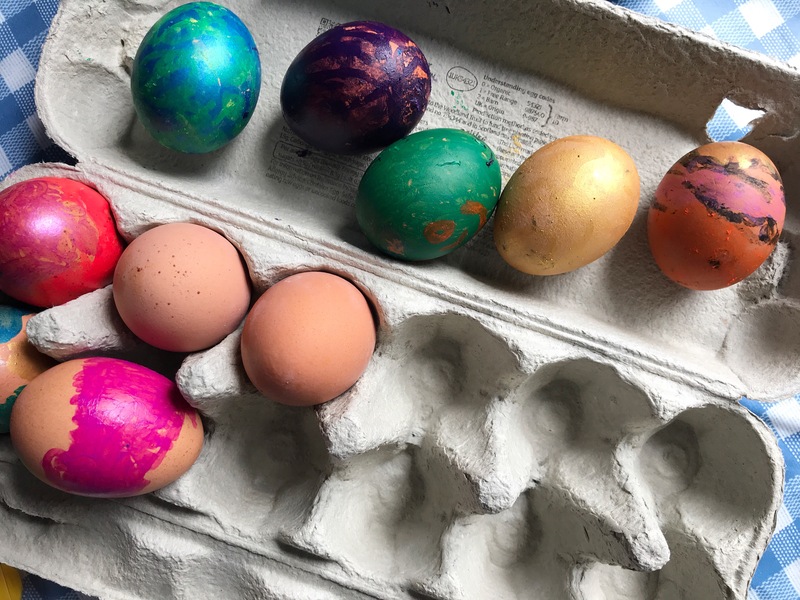 The darker colours – dark blue, green, red and purple, and also the orange – generally worked really well, giving good coverage, whilst the lighter colours such as the pale pink and yellow still had the brown of the eggs shining through. The metallic colours also all worked really well, and the gold was particularly popular with the kids who all wanted to paint a golden egg. When adding details, although ‘dotting’ is one of the actions mentioned on the packaging, we found that this actually took off the base layer of paint in some instances. Using the edge of the Mini Paint Sticks, and drawing on the details as if you were holding a pen, worked much better. 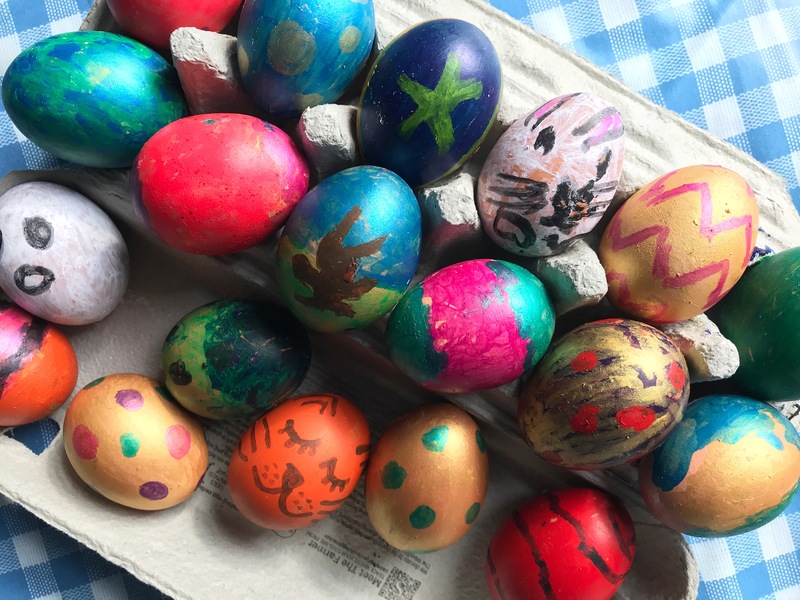 The paint took longer than 60 seconds to dry on the eggs, though still a lot quicker than regular paint (though from past experience, we found that the 60 second claim is true when using the Paint Sticks on paper). 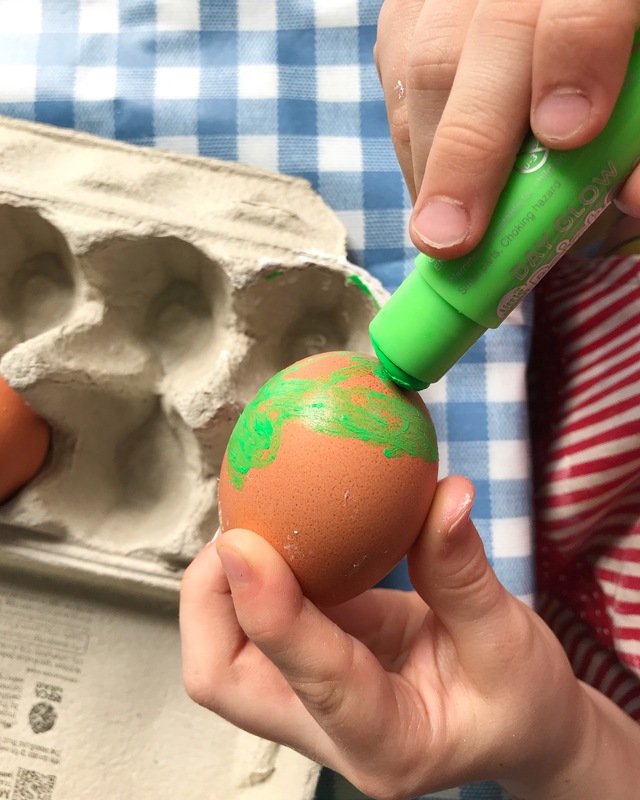 It wasn’t as mess free as using the Paint Sticks on paper, as inevitably if you are holding the eggs whilst painting them, you are going to end up with paint on your hands. But it was a lot less messy than using any other kinds of paints! 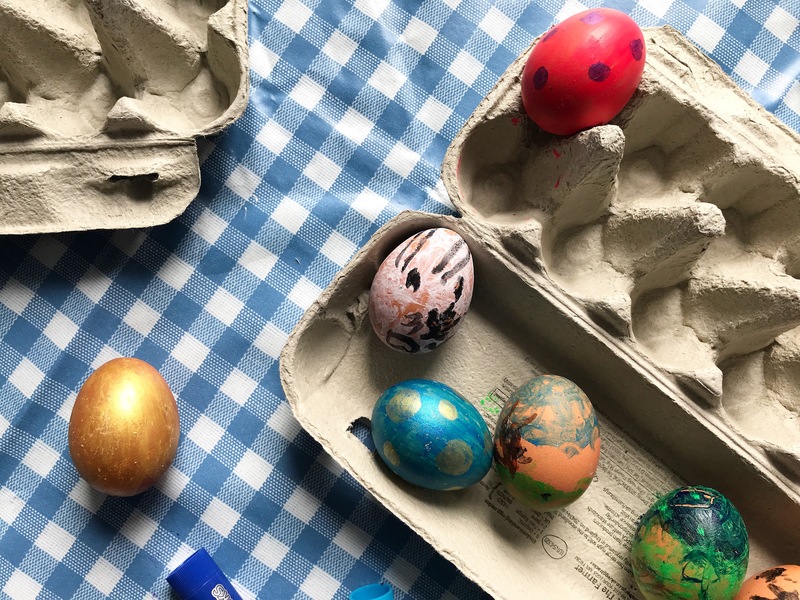 All in all, decorating the eggs with the Paint Sticks worked well, and whilst not completely mess free it took the stress out of it for me, of painting eggs with young kids. 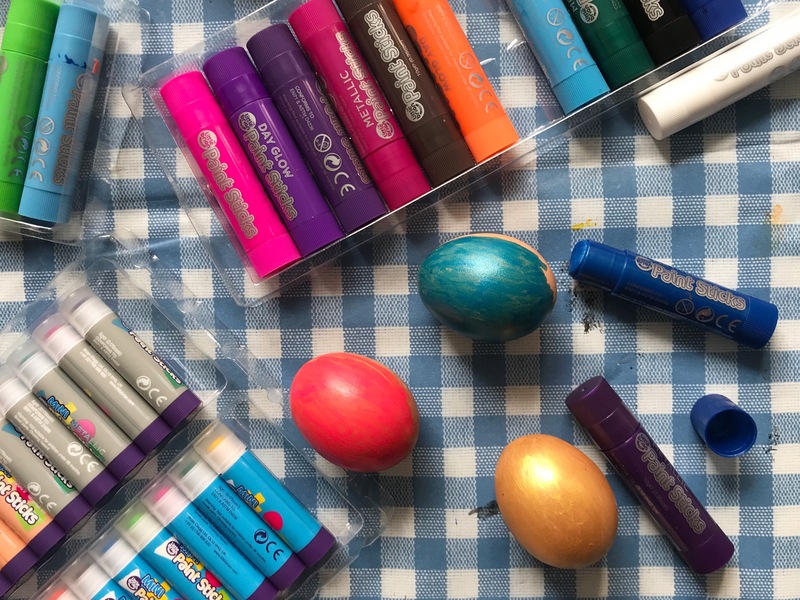 If you stick with the darker colours and the metallics, you get really good coverage, and we ended up with two boxes full of colourful, vibrant Easter eggs. My only real criticism of the Paint Sticks, is that the Mini Paint Sticks all the look the same on the outside. The wrappers indicates whether it’s classic, day glow or metallic, but to see what actual colour they are you need to take off the lid, especially once they are no longer brand new and start to wear down. My kids didn’t really care about the type, they just wanted to find their favourite colours quickly. I think the regular sized Paint Sticks, which are all the relevant different colours on the outside, work much better for this. 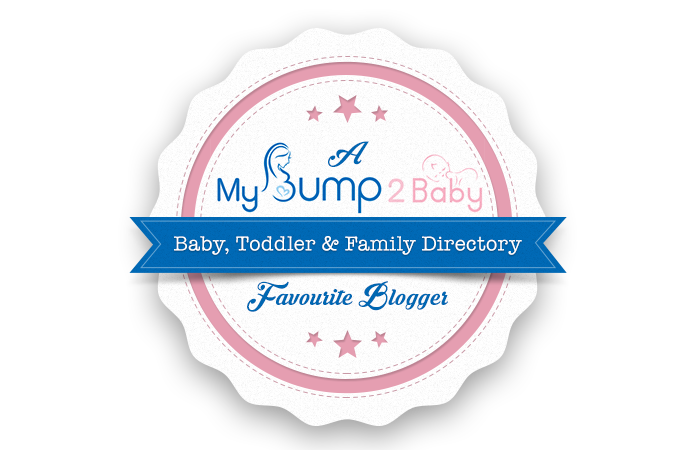 Most up all though, we all had fun – even the grown ups! 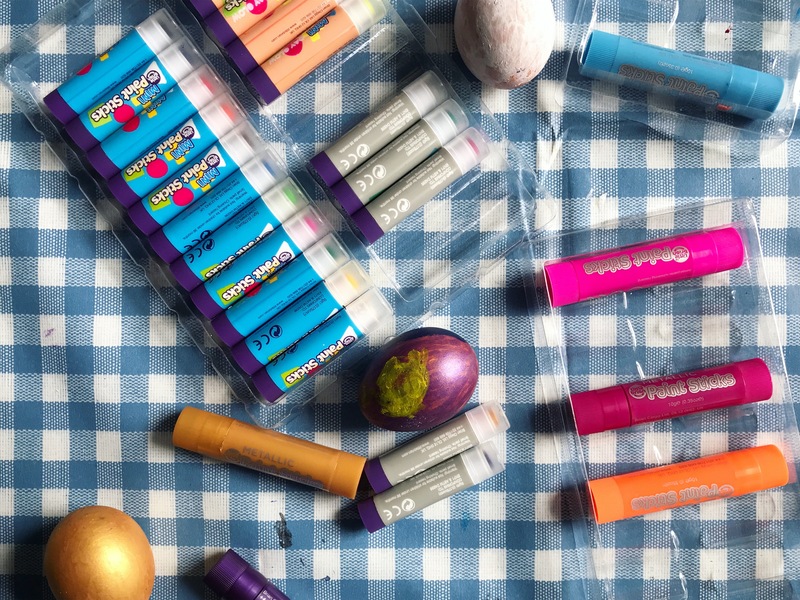 We’ll definitely be using the Paint Sticks for Easter eggs again next year. 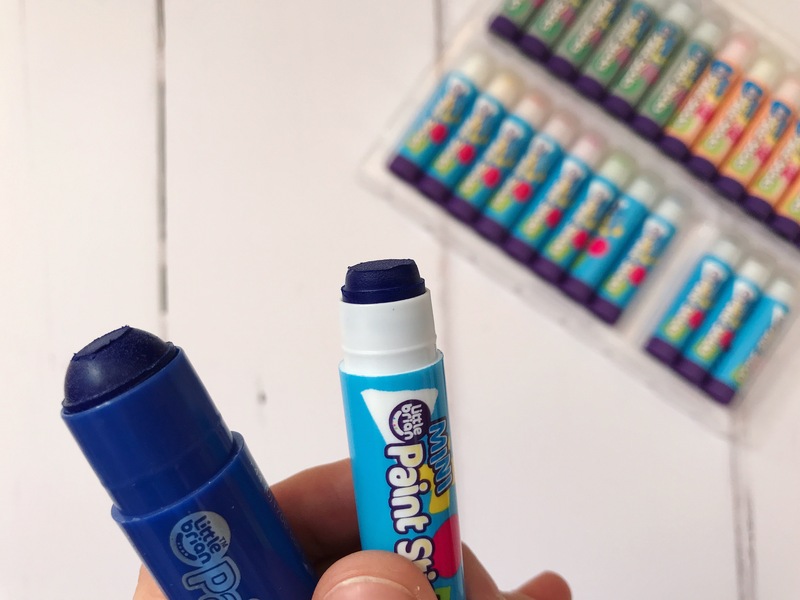 Little Brian Paint Sticks are recommended for ages 3+ and available at all good toy stores and on Amazon. 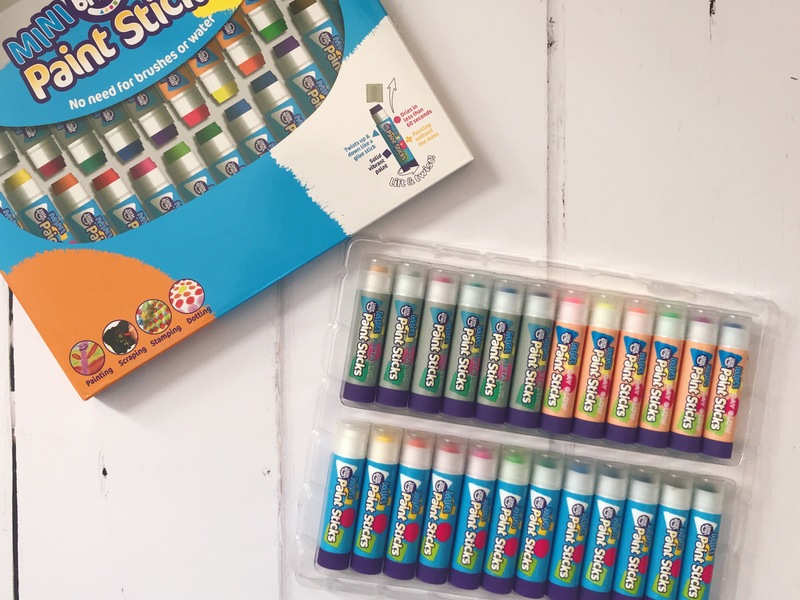 Disclosure: We were provided with five packs of Little Brian Paint Sticks free of charge, in return for an honest review. All images, words and opinions are our own. 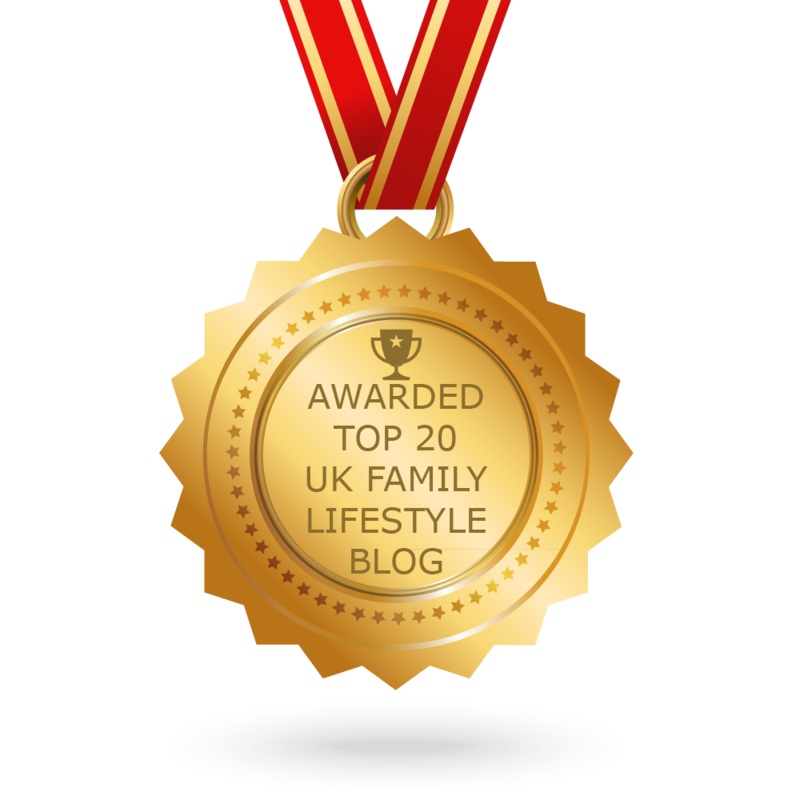 Products marked as Amazon Affiliate links mean, that if you buy these products via the links, I will receive a small commission at no extra cost to you, which helps to keep this blog running. Thank you. 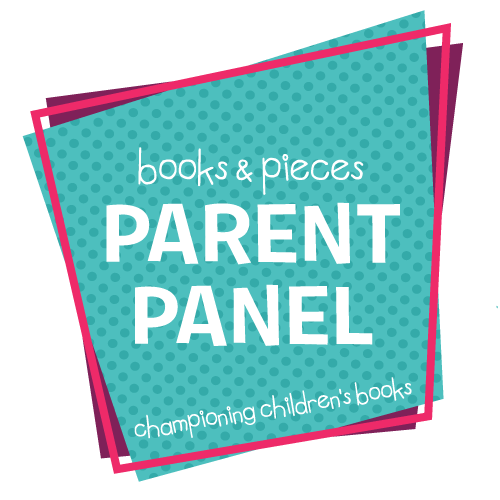 We have some of these but not the metallic ones! I think Erin would really like them. 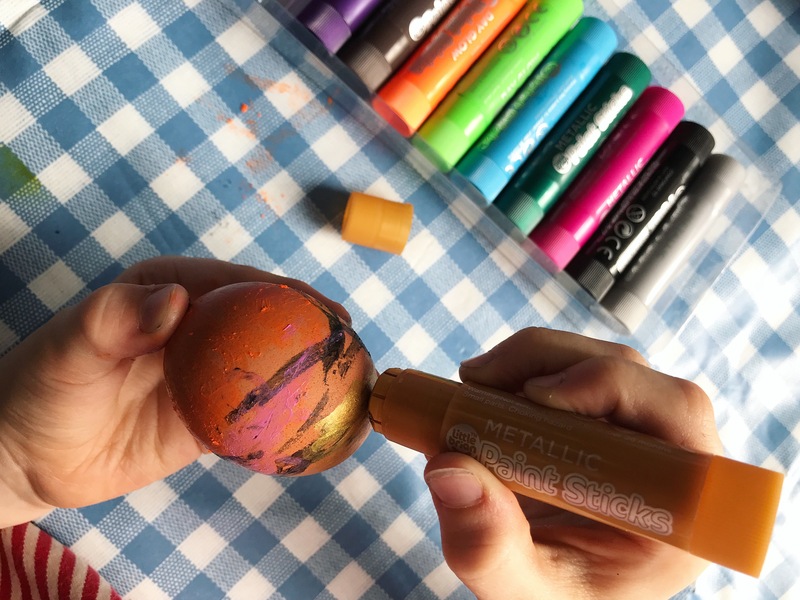 This is a great Easter activity, my girls would love it! They have worked a treat! I love all those wonderful colours, you have all done a lovely job decorating. What a great idea these are, I’ve not seen them before. We love our little Brian paint sticks too, it’s great how mess free they are. 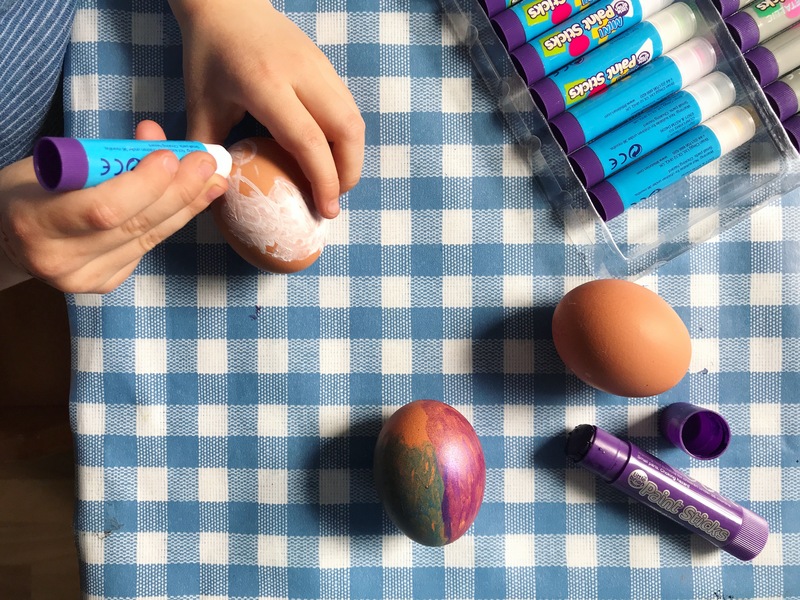 I’d never have thought to use them to decorate eggs, they look so pretty and a great activity to share with friends. I love that they make no mess. What a great idea!